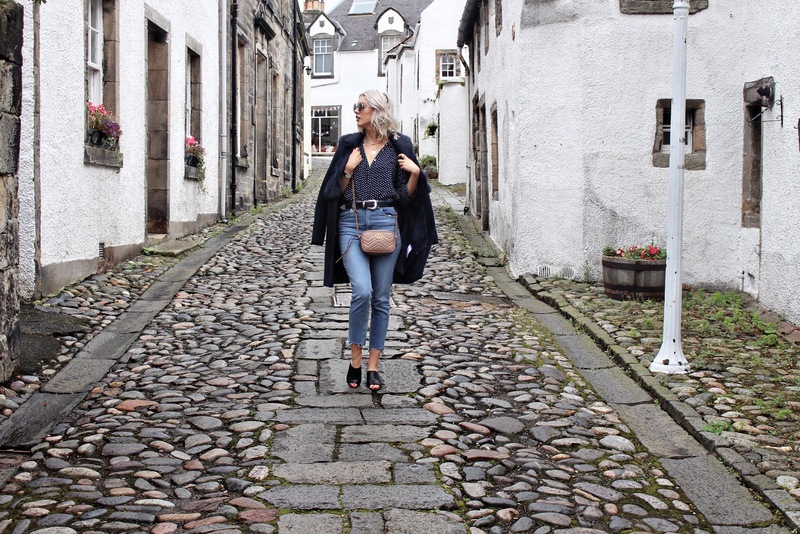 Okay, so I've officially discovered my new favourite spot for shooting blog outfits - the streets of Culross! I had no clue that this beautiful Fife village was so close to my home, but I'm so glad I found it (thanks mum!). Not only is it extremely picturesque (hello instagram! ), but it's steeped in history, so peaceful, and great to explore. 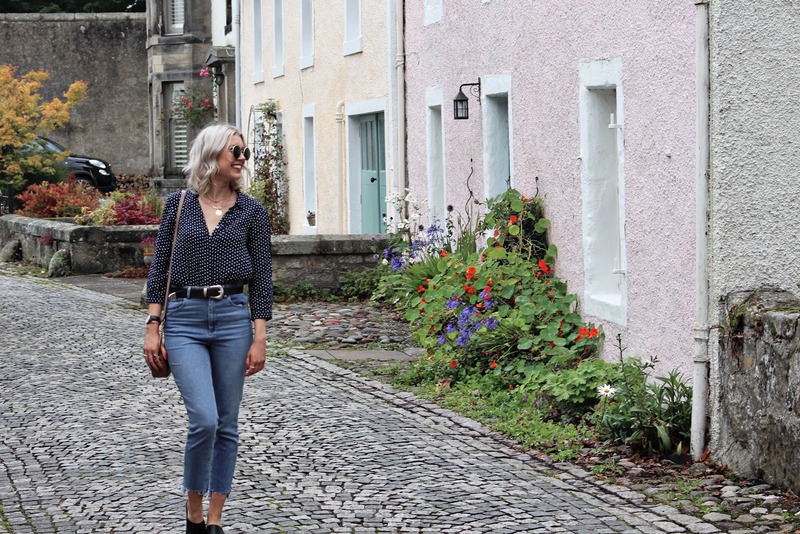 The village is filled with cute coffee shops, independent boutiques, a pub and LOADS of old houses - the oldest I discovered was built in 1612! 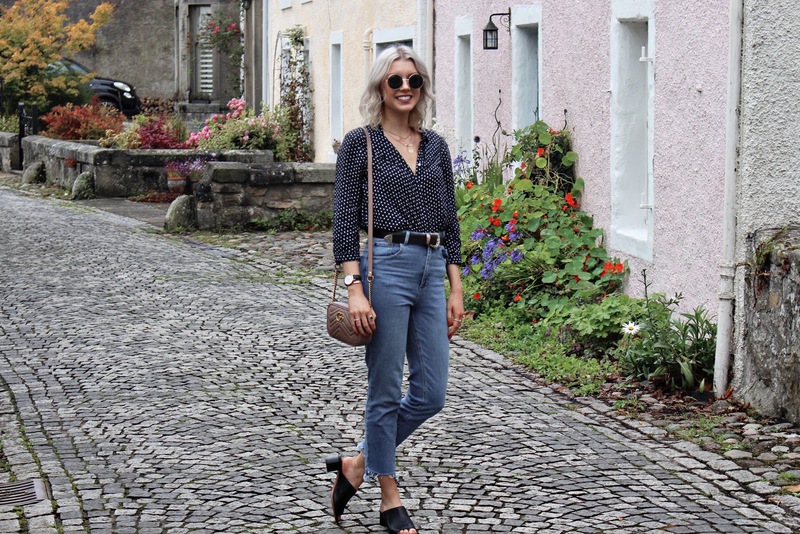 I'm so glad I managed to get my hands on the frayed hem Farleigh jeans from ASOS - after being out of stock in my saved items for two months, I finally have them, and they haven't been off my legs since! 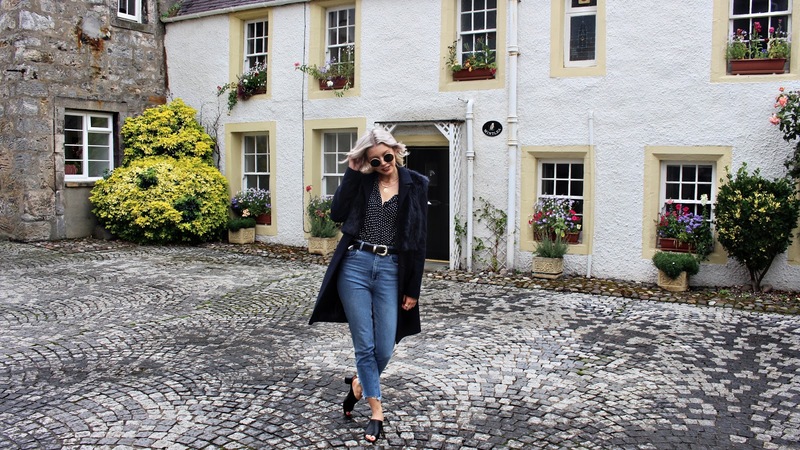 My shoes are a Zara sale bargain (£50 down to £15 - Yaldi! 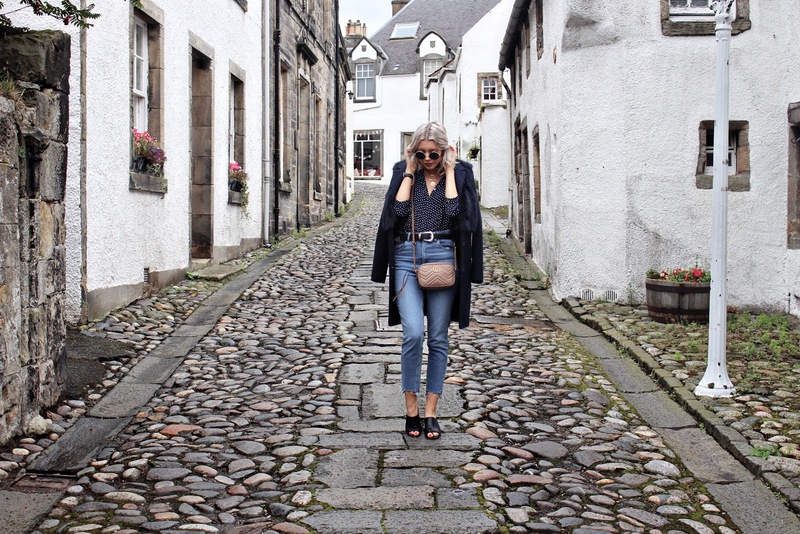 ), my coat is an old Topshop number, and similarly, my shirt is from Zara about 2 years ago! 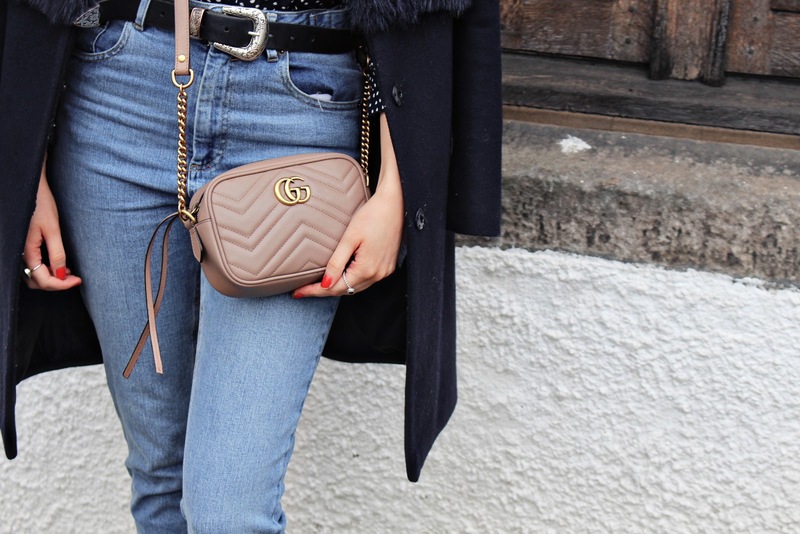 Accessory wise, my bag is from Gucci, watch is Daniel Wellington, my bracelet is Monica Vinader, as is my necklace, my belt is ASOS and I picked my sunglasses up from a stall at V Festival last year!